At Surry Hills-based Brix Distillers, which opened in mid-2018, you can purchase your own 20-litre barrel and work with head distiller Shane Casey (formerly of craft gin wunderkind Archie Rose Distilling Co.) through the distillation process to create a rum customised to your own taste. A critical first step is to decide what kind of oak barrel to use – lightly or heavily charred, or an ex-whisky, chardonnay or shiraz cask. The Brix team has sourced a variety of casks from around the NSW wine regions, literally adding local flavour to the finished product. “The barrels contribute to the story of each rum as the different wines affect it differently,” says James Christopher, one of Brix’s co-founders. Around the world, most rums are aged in ex-bourbon barrels, but as they are highly sought among craft brewers for the flavours they add to beers, they can be now more difficult to come by. Once the barrel has been filled, it is signed by the owner, sealed, and stacked in the Brix barrel room, upstairs from the distillery and bar. Rum must be aged for a minimum of two years, and many are aged for longer, but during this time, barrel owners can sample the evolving rum to have full control over its maturation. Once the rum has the tick of approval, the barrel can be tapped or bottled. The whole exercise costs $3500, including a tour and tasting for four people, and a Brix membership which provides a 10 per cent discount at the bar. 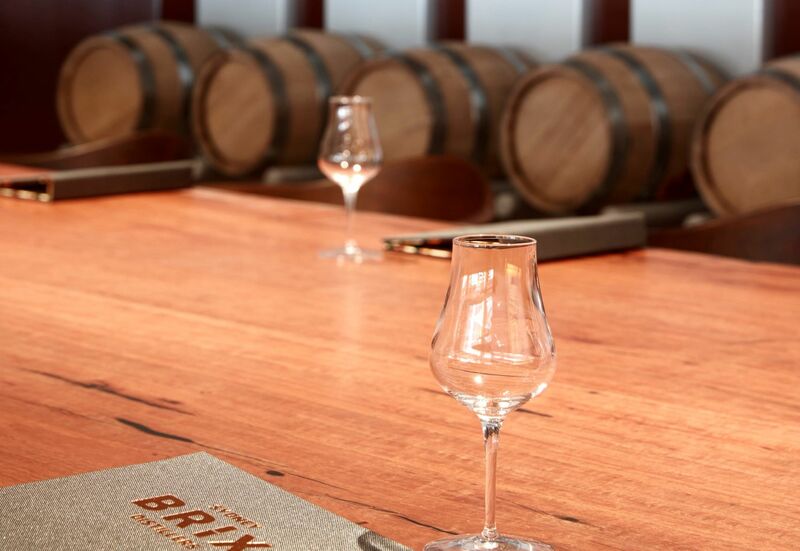 The program is all part of Brix’s mission to bring a new audience to rum. Sydney’s history with the spirit, of course, stretches all the way back to the very earliest days of the colony; perhaps most notoriously when in 1808, officers and soldiers of the New South Wales Corps mounted a coup against then-Governor William Bligh, and instituted military rule for two years – an act of disobedience that became known as the ‘Rum Rebellion’. While high-quality rums in the Caribbean and South America are commonplace, Australians’ not entirely positive perception of the sugarcane spirit has been guided mostly by local Bundaberg rum. And when Christopher and his co-founders, Siddharth Soin and Damien Barrow, were looking to set up a new inner-city distillery, it was an obvious opportunity in the sea of local craft beer, gin and whisky operations. The distillery now produces Brix White (a white cane spirit), Brix Gold and Brix Spiced rums, blended into a dizzying array of rum cocktails in the bar (try the Dry Hemingway), and accompanied with South American-influenced food by ex-Porteno and Bodega chef Ivan Sanchez. Rums from around the world are also on offer. With flavours like these, you could almost imagine you were beachside in the tropics – but with your very own barrel of rum to savour.